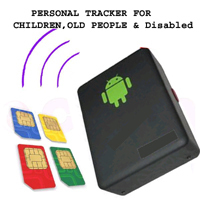 Our well-known and reputed organization is amazingly well-known for offering GSM /GPS Personal Tracker to our clients. The offered item is made by using finest quality material and components. Tested on several quality parameters we are offering this to our clients furthermore at a pocket friendly cost. Working Based on existing GSM/GPS network satellites, this product can trace and monitor any remote targets through SMS or GPS.